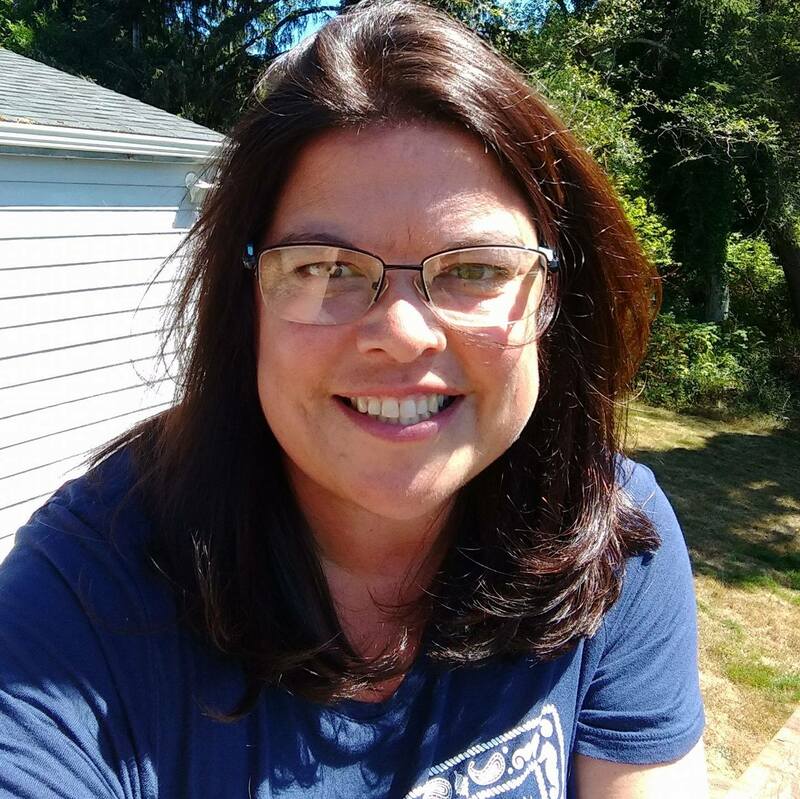 ← Earth Day–I Love My Lake! 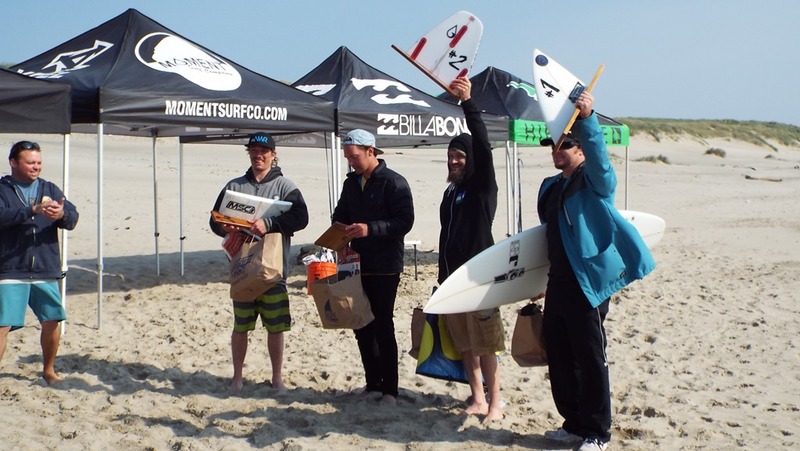 7 a.m. check in – Pacific City – for the Moment of Madness Shortboard Competition. The guys showed up early together to check out the surf. We’ve had nothing but wind and storms and the ocean is one crazy angry bathtub right now. There are a few good peaks, but you’d have to be at the right place at the right time. 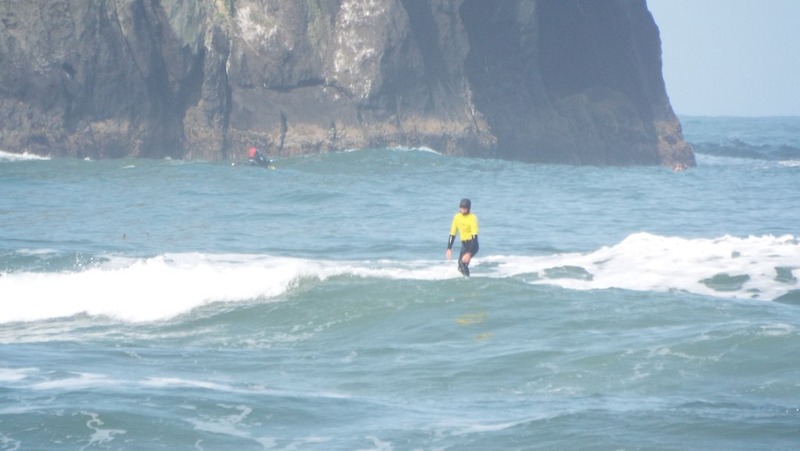 Jon is on the left – standing with the younger surfers – he’s 14, next is 16, then 19? and an adult friend. There was another 16 yr old from Newport. 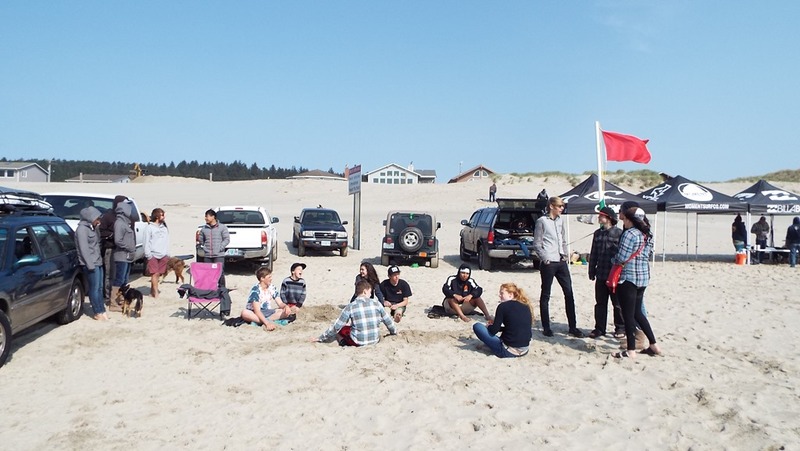 36 rippers from the Oregon and Washington Coast. 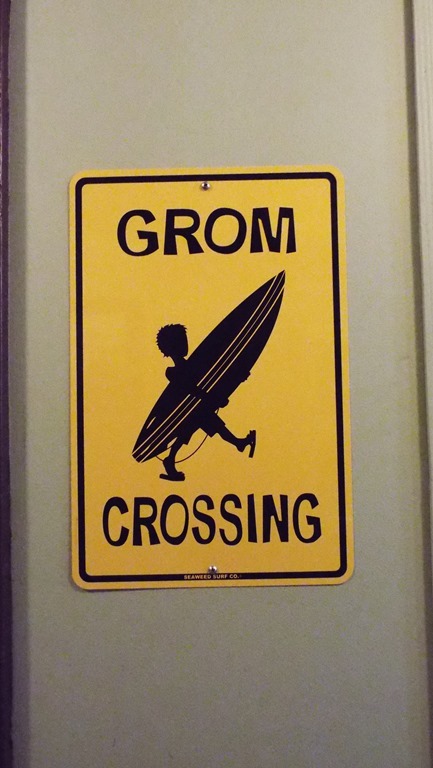 We’ve been told – many times – if you can surf here, you can surf anywhere. Jon’s had his shortboard in the water 2 times. Ha. He’s here to hang out and watch the great surfers and try out his new board. Our lil shop in Lincoln City closed down this year – Sigh. Hard to loose a local hangout. 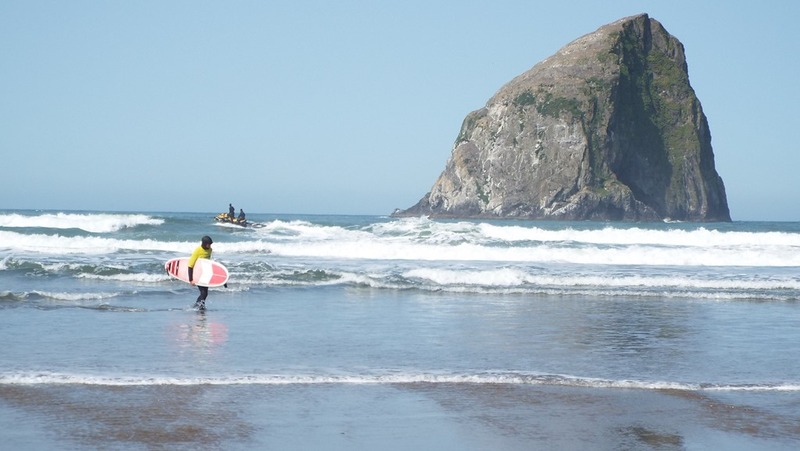 The good news is – we love driving to Pacific City – only 14 minutes north of home. Jon’s always been a welcome lil surf rat at Moment Surf Shop and loves hanging out with the local and vacationing groms up north. So – you’ll probably be hearing a lot from us about Moment Surf Shop on our Facebook and Instagram, and here on the web. 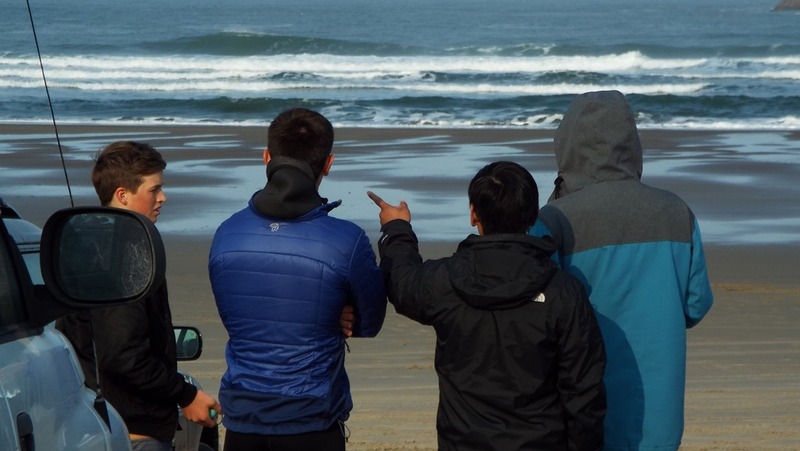 You’ve already seen quite a few Pacific City surf shots this winter. Jon likes a lil wave that comes around Cape Kawanda. 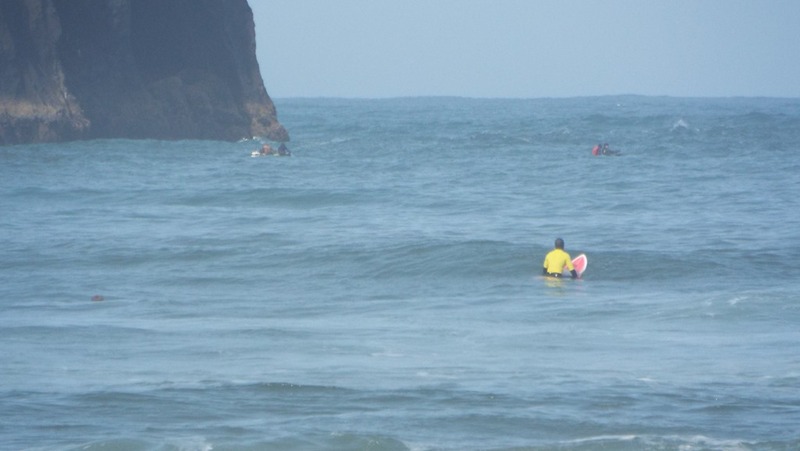 He kept waiting for just the right swell to come around in his 15 minute heat. He got up a couple of times – but nothing fantastic for scores. Crazy windy and churned up. Super fun to have friends come to cheer! Second heat was more of the same. The jet ski offered an assist to the outside – Jon said no. If the ‘big boys’ are paddling out – he can too. That lil guy can seriously paddle. Russo Surfboards created this 6’8 board with a bit of thickness and rocker in the front. Perfect for duck diving to the outside through all of these stacked up waves – buoyant enough to let him paddle around to get to the spot he wants. 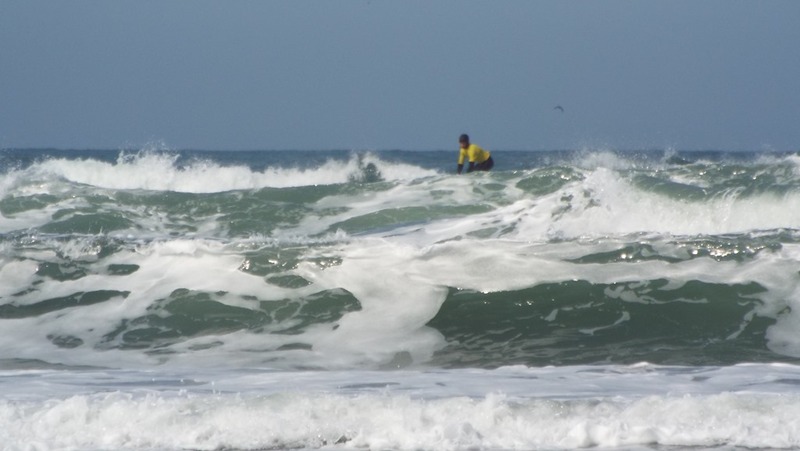 Right after he got past the second swell, a competitor jumped on the ski – giggle. Fun times with the teens hanging out – quite a group from our local school came out to support Jon and his friend. #1? Jeremy Rasmussen. He’s our Youth Pastor and very good friend. Kirk Tice took 2nd. Laird took 3rd. Rockstars in the local surfing crowd. 1-8th placed and got trophies. 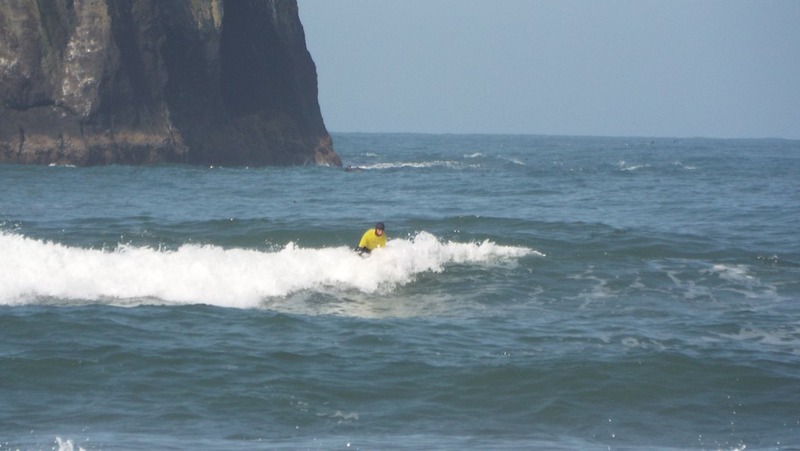 I’m just a kook mom of a boy who loves the ocean, so my –telling – of the competition is pretty lame. 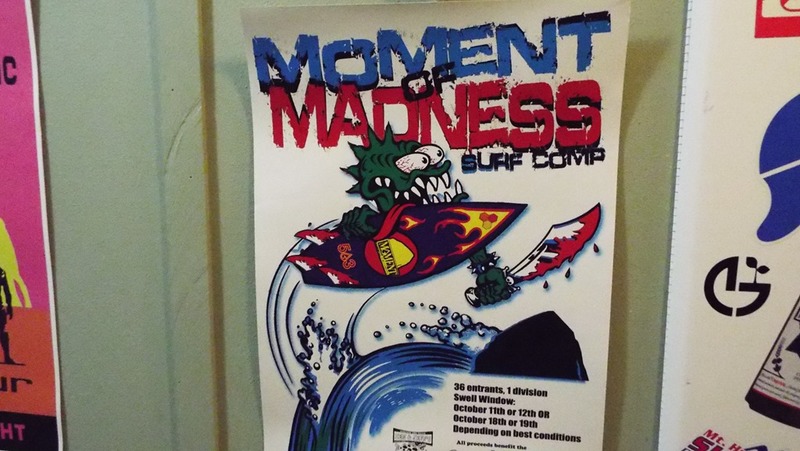 If you’d like the nitty gritty – head over to the blog recap – http://www.momentsurfco.com/moment-of-madness-recap. one in August then 2-3 in the fall. Should be a good season! 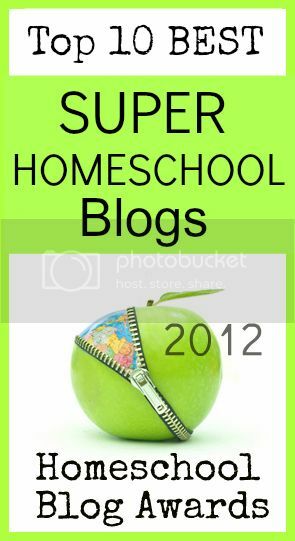 This entry was posted in Beach Schooling and tagged Grom, HomeSchool, HSBlogger, Pacific City, pnw, Shortboard, Surf. Bookmark the permalink. 1 Response to 2105 Surf Season Begins! Wish I could brave the water, but I’m such a sissy. 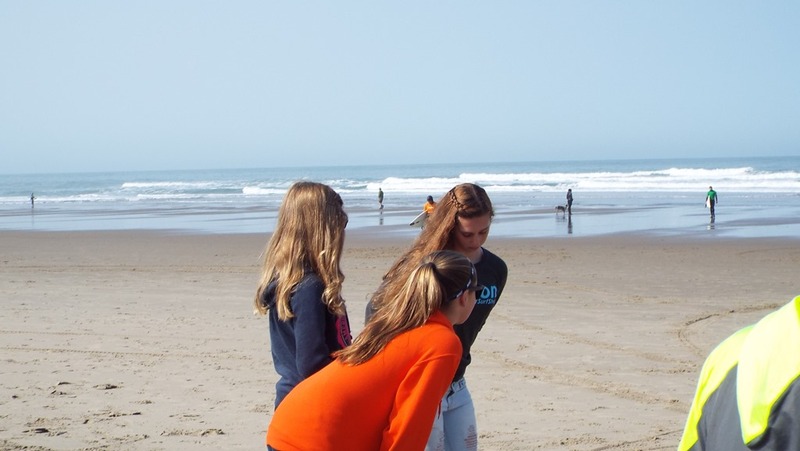 The ocean and I are not friends.